Can the eclectic medieval experience of the world's most conquered island be a lesson for our times? Home to Normans, Greeks, Arabs, Germans and Jews, it was for centuries a crossroads of cultures and faiths. The epitome of diversity. Here two of Sicily's leading historians introduce the place where Europe, Asia and Africa met, where bilingualism was the norm, divorce was legal, women's rights were defended and the environment was protected. All before 1250. At 368 pages, the most revealing history of ancient and medieval Sicily to find its way into print took seven centuries to write. Read this one if you love history, but especially if you don't. Because here history is just the beginning... And because this story is about much more than an island in the Mediterranean Sea. "Here, on this island variously claimed by Europeans, Africans and Asians, are the foundations of a lesson for our times. For all time. In Sicily, for two centuries, from around 1060 to 1260, people of diverse cultures, faiths and lifestyles lived together in something approaching harmony. Theirs was a polyglot society virtually untainted by the bigotries of religion, devoid of oppression based on gender or ethnicity. 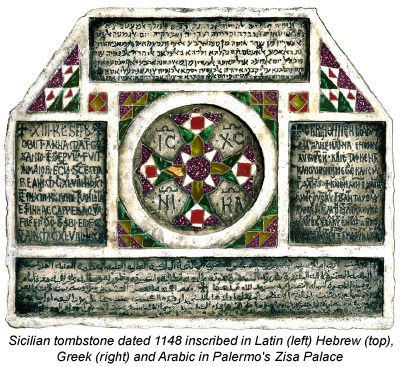 Sadly, it was not to survive the thirteenth century..."
"Conventional study does little to prepare you for the complicated history that confronts you in a place like Sicily. Those who visit the island, either physically or virtually, encounter a complex cultural patrimony. But the visitor is rarely rewarded with information sufficient to explain the complexity. 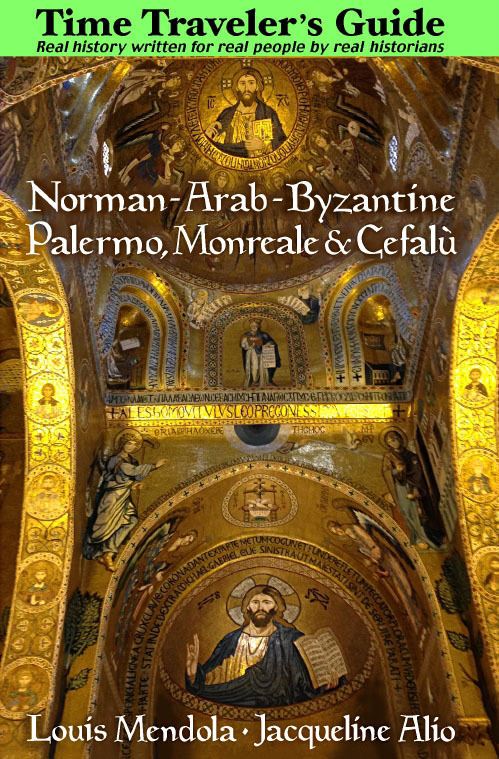 Fatimids, Normans and Swabians are mentioned, of course, yet very few histories or guidebooks explain who, exactly, these peoples were. It's as if the visitor were presumed to be an ethnographer. It is still more annoying that, beyond their names, little information is set forth about the contributions of each civilization to the society of Sicily and indeed the world." "How we study history is at least as important as why we study it." "This book is not about empires. It is about the people who lived in them." "Let us stand apart from those who have made the study of history dull and prosaic." "History is about people and their stories. It is a canvas dripping with color that doesn't leave a single millimeter unobserved or unconsidered. After viewing the painting, the expert turns the picture around to examine the integrity of the canvas and how it was stretched and mounted into the frame. And how well it has withstood the test of time. But the frame, the presentation of history, is not history itself. It is something that was added later, an enhancement. Accurate history prompts a sober reckoning with the past, serving us the bad with the good. Grasping history takes equal parts of courage and curiosity. There are no shortcuts." But The Peoples of Sicily does offer a few "shortcuts" in its topical format. Following the Introduction, early chapters present a historical synopsis along with information on geography, religions and cuisine. The authors then embark on a series of profiles of societies and historical figures, any of which could stand alone. We meet the Goths, the Jews, the Byzantine Greeks, the Normans, Arabs, Germans, Angevins and Aragonese. And Sunnis and Shiites, Roman Catholics and Greek Orthodox. We also read about Sicilian, one of the languages that gave birth to Italian. Chapters are dedicated to Roger I and Roger II, and their wives, as well as Frederick II, Abdullah al Idrisi, Margaret of Navarre, Benjamin of Tudela and other figures. All part of the multicolored tapestry that is Sicily. There are clear treatments of the Great Schism of 1054, the Sicilian Vespers War of 1282, and their lasting impact in Sicily and beyond. 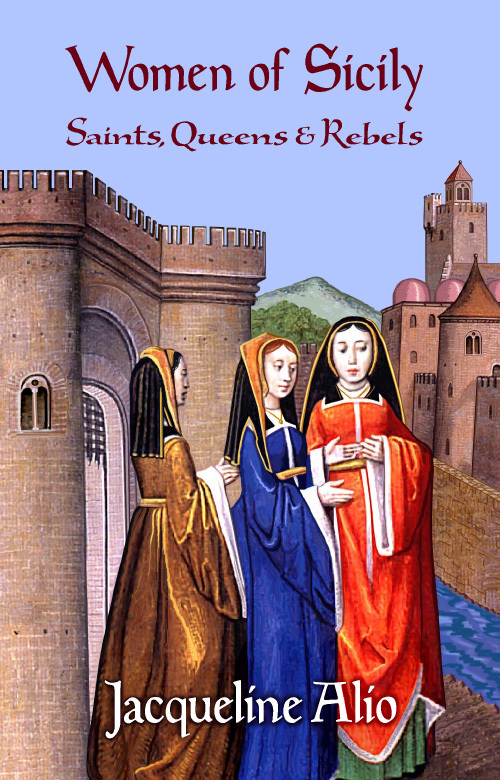 While it ends with the culmination of the Middle Ages and the beginning of the Renaissance, the text mentions a few modern developments for comparison, making the point that divorce, for example, existed in Sicily in 1070 but was later outlawed, to be legalized in Italy only nine centuries later. Likewise, Sicily boasted higher general literacy rates in the eleventh century than during the nineteenth. The appendices alone make this book worth having as a ready reference. 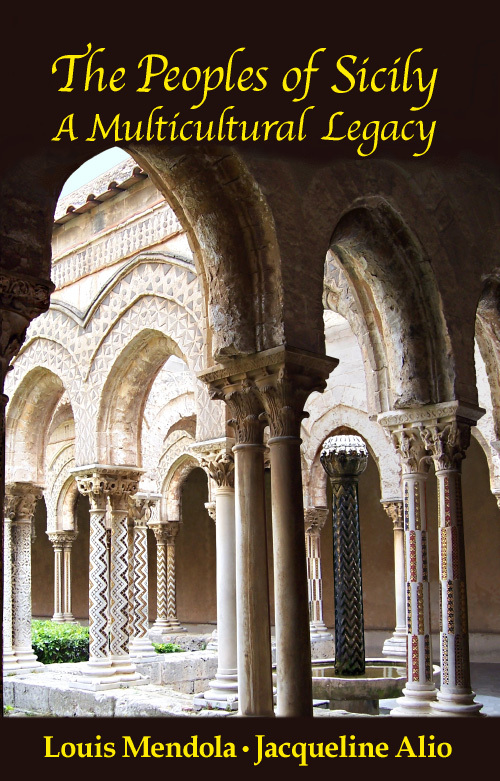 At over twenty pages, the chronology is the most detailed timeline of Sicily's ancient and medieval history ever published, and "Places to Visit" mentions a few sights and sites, along with useful tips from the cognoscenti. The books in the reading list were carefully considered for accuracy. Some readers may be frustrated by the print size in the appendices. In the Introduction the authors explain that, were it not for the smaller print of the appendices, this book would have run to 600 pages, and that an ebook is scheduled for release soon. Most Sicilian histories and cultural outlines written in English are the fruit of their authors' relatively brief visits to the island for research, perhaps for three or four months. This book's authors actually live in Sicily, and each has written other books about it. Their understanding of the place and its people is remarkable. And so is their passion. 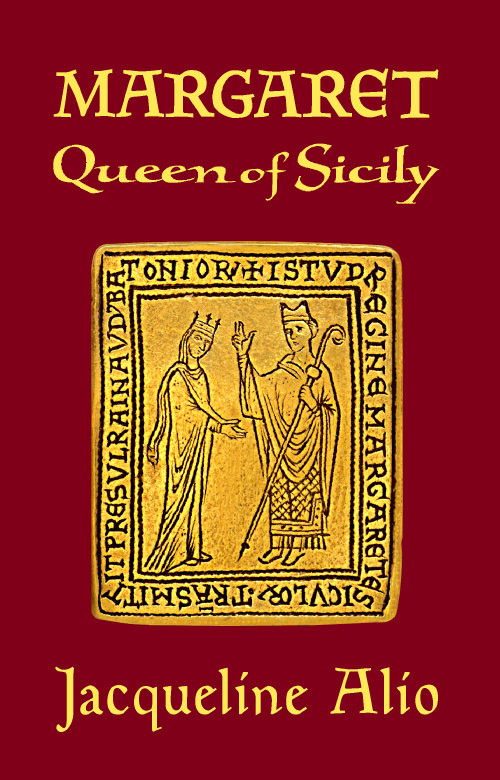 Jackie Alio's Women of Sicily and Lou Mendola's Sicilian Genealogy and Heraldry are groundbreaking works in (respectively) Sicilian women's studies and Sicilian family history – topics that touch the Sicilian identity. 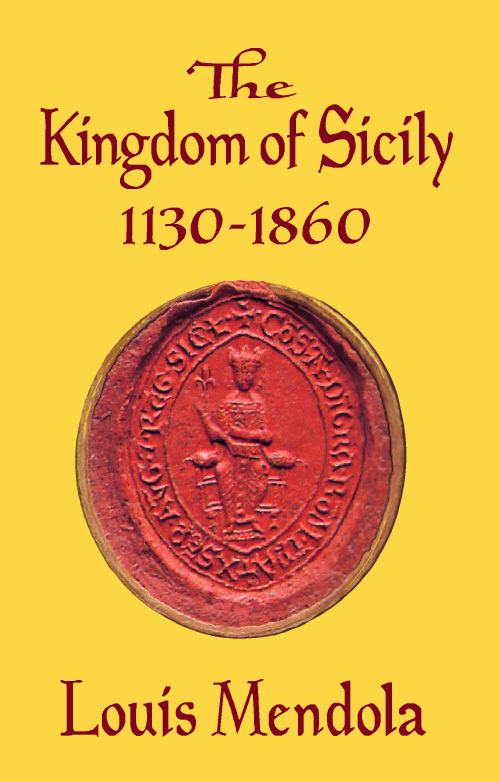 Never before have books on either subject been written in English by Sicilians in Sicily. Each work is a landmark in its field. The Peoples of Sicily brings us an inspiring message. An American woman was moved to tears by the Preface. Can a book change a person's view of cultures and perhaps even the way we look at history? This one just might.